Camellia Panjabi, cook book author of 50 Great Curries of India needs little introduction and is most certainly without a doubt one of my favourite Indian cookbooks.Fondly also know as the “Queen of Indian Cuisine”,her book is a delightful revelation of some traditional and authentic Indian recipes from various regions of India. Now I had acquired her book probably a couple of decades ago,being a newly wed and on the look out for good Indian curry recipes,all to please the dear husband then. Winning his heart through his stomach was a huge priority then as much it is now,as we both are passionate about our food and specifically a good curry.Having lived internationally for many years,looking for specific ingredients and getting the base for the curry right may have required a bit of scouting for ingredients.All though using substitutes have always worked well for most recipes.We have recently relocated to Mumbai and have no dearth of spices,fresh meats and vegetables and it’s something I look forward buying. Indian Cuisine and goes onto the essentials of a Curry, touching upon the basis of a good curry along with various key ingredients that make it up.As the book unfolds,the author delves into the use of various spices,which of course quintessential are the essence of Indian Cuisine.Many curries contain herbs, either ground and used in the curry or sometimes used as a garnish too.Traditionally all curries have four key components mainly,Onions,Ginger,Garlic and Tomatoes.Further more Fresh Coriander,Green chilies,Fenugreek leaves,dried Red Chilies and Fresh Mint are added according to what each recipe calls for, to enhance the flavour.Each chapter has been written out well with a thorough explanation of every ingredient. A treasure trove of information as you browse through each page. 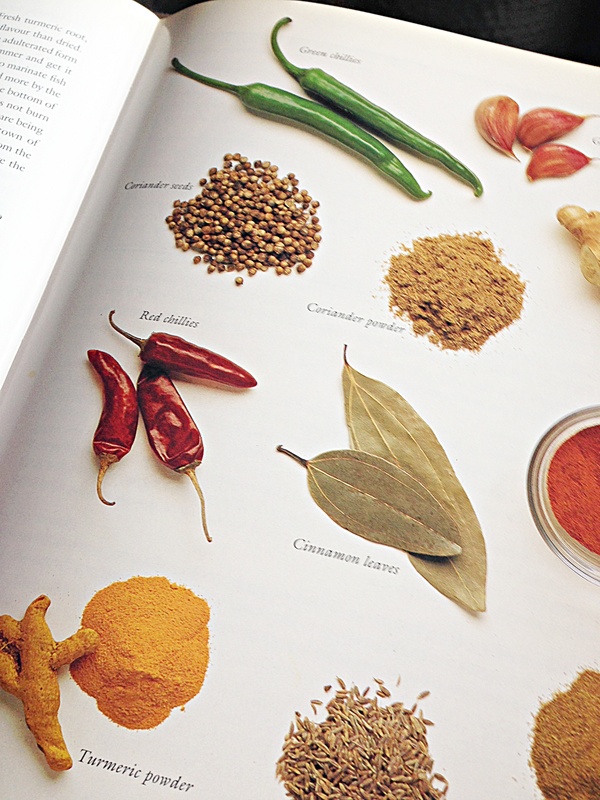 The book as it suggests is a wonderful repertoire of Curries from India. It further gets divided into recipes from each region in India,with easy classifications under Lamb,Chicken and Fish ,moving on to Vegetarian cuisine,Lentils,Rice, Chutney’s and Desserts too.All recipes have a thorough introduction and accurate measurements.A culinary journey into the Indian kitchen with a wonderful explanation of the principles that form the basis of Indian Cuisine.All the recipes call for cooking from scratch with fresh spices and condiments,no quick fixes. Let’s say the author’s expertise guides you really well through the basics,as each recipe is well-tested and written simply and accompanied with tantalising photographs.This book is indeed a great collection of some of the best recipes and a celebration of the diverse cuisine in India. I have certainly acquired many a cookbooks over the years,however the 50 Great Indian Curries has a coveted spot on my book shelf.I’ve cooked for family and entertained friends using these recipes which turn out as good as restaurant quality food albeit cooked at home.I could quite easily owe my Culinary prowess,all thanks to many of the recipes I’ve used from this book.You may order your copy from Amazon if you wish to start your quest for some Curry making in your own kitchen. 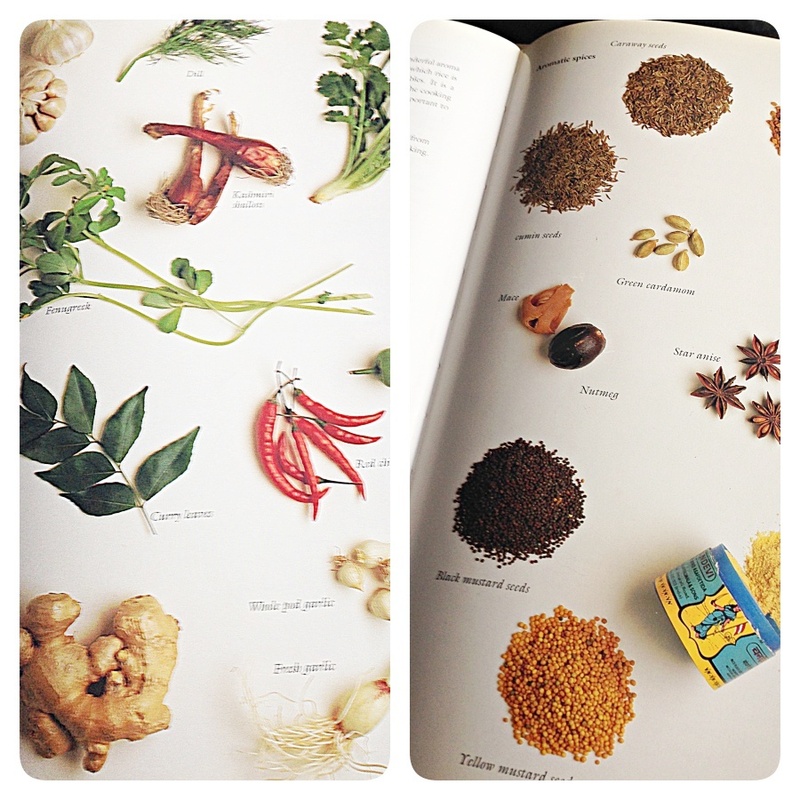 Do you have a favourite cookbook that you absolutely love cooking from? Do share a recipe or two.Would love to hear from you. Cut half the fresh coconut into small pieces and keep aside to grind with the spices. Grind the chopped coconut with chilies,ginger,garlic,and all other spices to make a smooth paste with some water. Heat the oil in a pan and add the chopped onions and fry till brown. Add the meat and salute for 5 minutes. Add tomatoes and salute further for 5-8 minutes. Add salt and about 4 cups of water and cover and cook for about an hour or till the meat is tender. Lastly add the coconut milk and simmer for 5 minutes. Garnish with fresh chopped coriander and thinly Julienned ginger. DISCLAIMER: This blog post has been written as an ode to my favourite cookbook author.The Curry images at the top and bottom of this post have been photographed personally from my I Phone Camera.Some of the images have been used from the original cookbook 50 Great Indian Curries portraying excerpts from the book ,and as by no means being used for any other purpose other than for this blog. So tempting stuff! Great job! This is first time I am seeing poppy seeds added to a curry recipe, finished dish looks delicious. I was searching for a good Indian cookbook. Thanks for sharing! 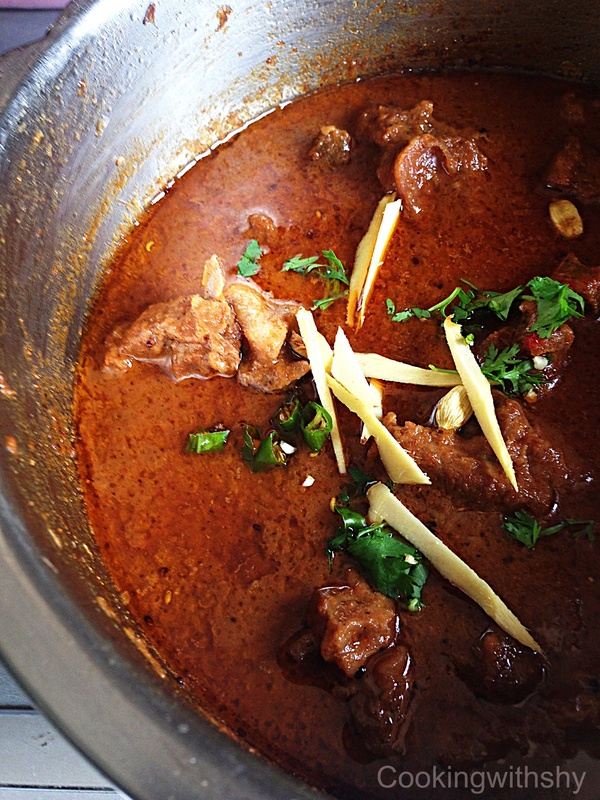 Lamb and Madras. I’m in love! It sounds like a terrific book. I’m surprised that I have all the ingredients to make your curry dish except the poppy seeds which are not a problem to get. Thanks for the share Shy. Loved reading your description about the curry! 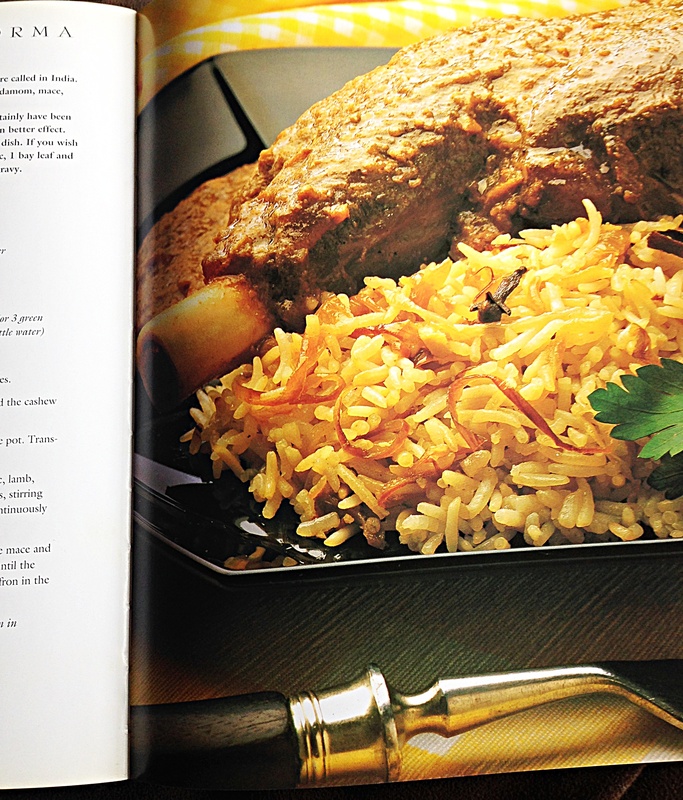 Yes the curry is a fav with the family and this book is a treasure of some great recipes.Nice to meet you here..
ha ha true that…do share your recipe too.. This dish looks wonderful. 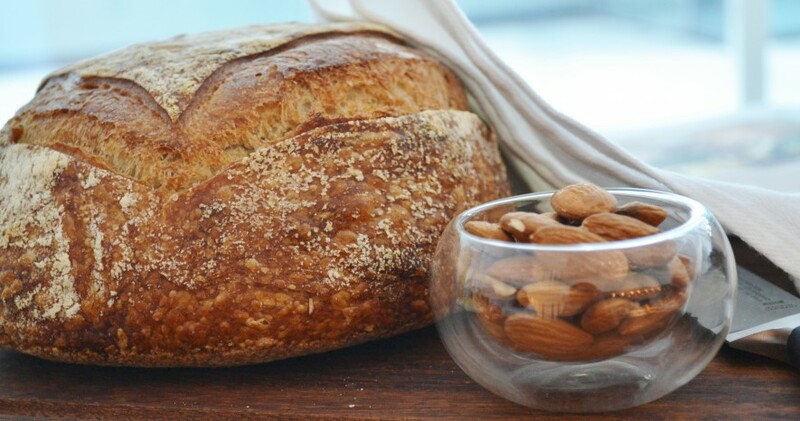 I’ve also discovered that I frequently use a few of my cookbooks – and that recipes in them generally turn out wonderfully; whereas other cookbooks tend to languish on my bookshelves. What a luscious cookbook! 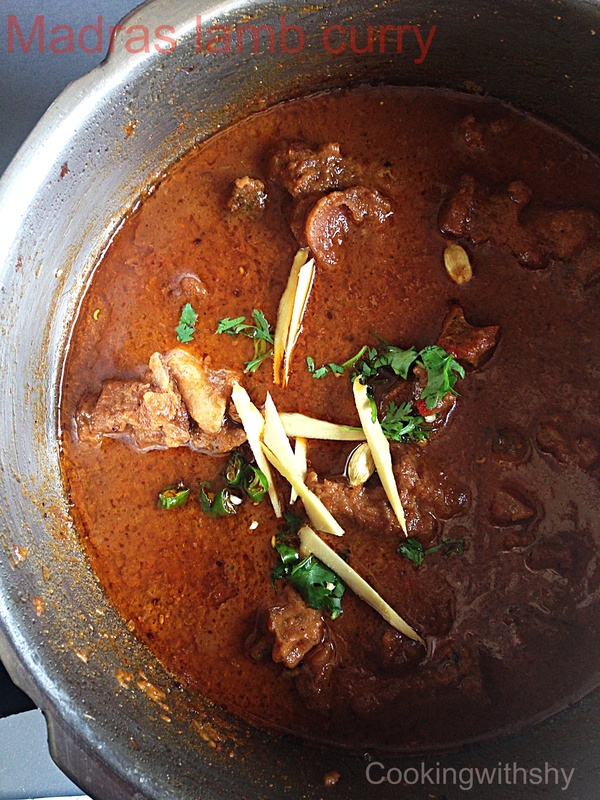 Love love curry– and your photos make this lamb curry look pretty irresistible!! thanks. I bought this cookbook after it was recommended by another blogger. 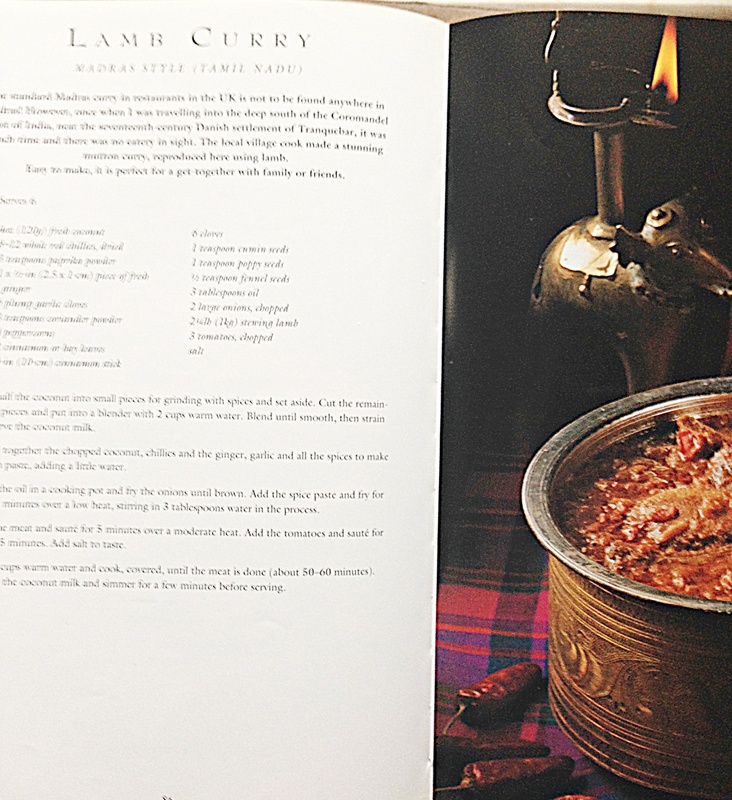 Now I have two suggestions for recipes – love lamb and curry. This cookbook looks amazing, I’m going to have to see if I can find a copy! Hi Kalpana…yes you must try and get hold of it! !